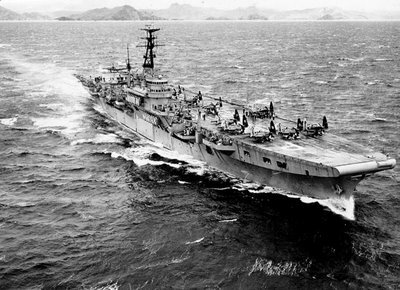 HMS Triumph sails off Subic Bay, Philippines, with Seafires Mk. 47 onboard. HMS Triumph was a 13,350-ton Colossus class light fleet aircraft carrier. Built at Hebburn-on-Tyne, England it was completed in April 1946. 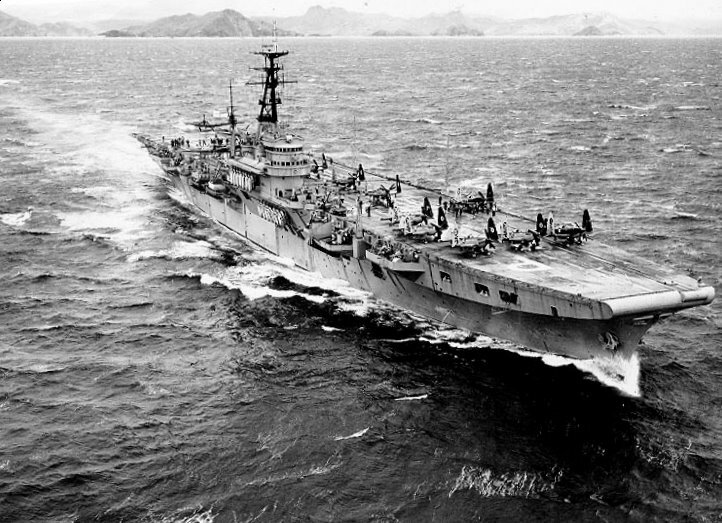 She served actively during the post-World War II years, and played an important role in the early months of the Korean War, when she was the only Royal Navy carrier in the Far East.